The incoming National Railway Labor Conference (NRLC) Chairman is Brendan M. Branon (inset), who was most recently Managing Director-Labor and Employee Relations at Delta Air Lines, the principal negotiator, attorney and company spokesman with the company’s domestic labor unions. 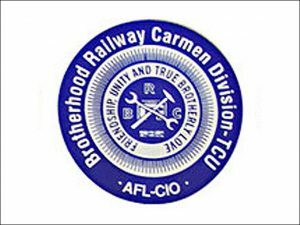 A National Railway Labor Conference arbitration board ruled May 23 that the pattern health care terms adopted by the freight railroads and nine of the unions in national bargaining should also apply to the Brotherhood of Maintenance of Way Employes (BMWE) and the International Association of Sheet Metal, Air, Rail and Transportation (SMART) – Mechanical Division. Can labor deal survive a social media attack? 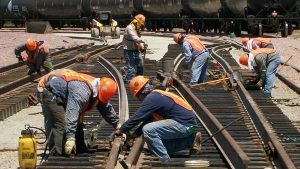 A tentative national agreement on wages, benefits and work rules has been reached between major railroads and seven of their 13 labor unions. Almost two-dozen unionized regionals and short lines also are participating in the talks.